Are you looking for a sofa but you don't know which one to choose? This is where Tarmeko can help you. Tarmeko Pehmemööbel's selection is wide and has many different styles. The designers together with the technical engineers create sofas and armchairs that are elegant and classical or on the other hand innovative and modern. The CF Collection has a lot of new models that we gladly now wish to present. Smooth - a product that combines visible quality and design. While creating this sofa the designer Tobias Jacobsen's wish was to make an overall light and simple looking sofa. A crucial element in this idea is the wooden frame, which brings the upholstered part more forward. The contrast between the frame and pillows gives the sofa a lighter look. Hence the name - Smooth. The sofa has also horizontal lines that together with the models' overall softness make Smooth an elegant addition to the living room or lounge environment. Curve is a sofa that has a long creation story. Everything started from the designer's childhood. Tobias grew up in his grandfathers "design universe". For him, the most important thing in life is to value your family and the time spent together with them in a time where technology and constant information overflow surround us. Tobias believes that the Curve collection can create, for example during a meeting, a calm and comfortable atmosphere. Why? The sofa has almost like endless curves and is a work of art while contributes to the creation of a beautiful interior. While talking about Smooth and Curve one can't go on without talking about their designer Tobias Jacobsen. Who is Tobias Jacobsen? Tobias has described himself as a nostalgic designer, who creates modern and dynamic products that suit into all kinds of the living environment while remembering craftsmanship and history. More information on the designer can be found here. Raahe is a Spanish designer Carlos Guijarro made sofa. The designer's main goal was to create something unique while using a new approach. This model is suitable for kitchens and waiting rooms. The most ergonomic way to use this sofa is to use it at a dining table because of its comfort and design. Raahe's main strengths are that it can be used for many purposes and has Scandinavian design elements, which consider limited space. All of the previous is important because nowadays homes and offices have smaller spaces and the furniture in them has to be cleverly compact. 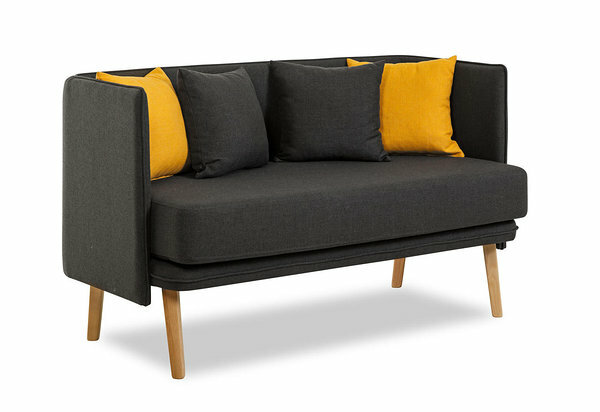 Kides (also designed by Carlos Guijarro) sofa range was created to bring a fresh and Nordic style into living rooms. Available in two versions, double seat and modular corner, this model presents an elegant and cosy combination of materials by having a solid base with a fluffy seat and backrest. The detailed stitching together with a curated selection of fabrics and colours create an elegant model that will allow users to enjoy and relax in full comfort. The Forssa (the latest design from Carlos Guijarro) sofa is characterized by deep ample seats and medium-high backrest. The combination of square and slim outer body with thick and rounded cushions generate an impression of comfort at first sight. The essential idea behind Forssa sofa is to bring an extra pleasant and homey sofa for living experiences. Who is Carlos Guijarro?He is a rational but also emotional designer who has been influenced a lot by the Mediterranean lifestyle. While designing, his inspiration is his life experience, Scandinavian design and southern joy of life. To read more about Carlos, click here. 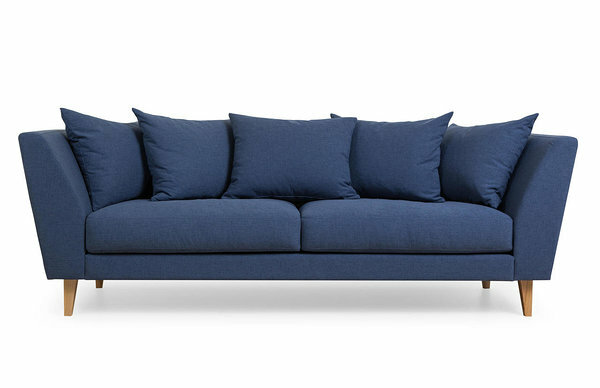 The Plenty sofa, designed by Kasper Meldgaard, is both elegant and classic. It works as a modern reinterpretation of the traditional roll armsofa and offers great comfort with its good back support and soft rearrangeable scatter back cushions. The timeless profile, the Nordic feel of the oiled oak legs and the great comfort goes perfectly hand in hand. The back and the armrests merge seamlessly for an elegant look and furthermore creates comfortable cosy corners. The back pillows are large scatter backs that are comfortable and can be rearranged to add a personal touch to the sofa. The curved armrests and back provide great comfort. The legs are conical oiled solid oak. Cushions are quality foam with fibre wrapping. Who is Kasper Meldgaard? Kasper's furniture design is rooted in the great traditions of Scandinavian design and its love for simplicity, minimalism and functionality. He is part of the New Scandinavian Design movement. If you wish to read more about him, click here. 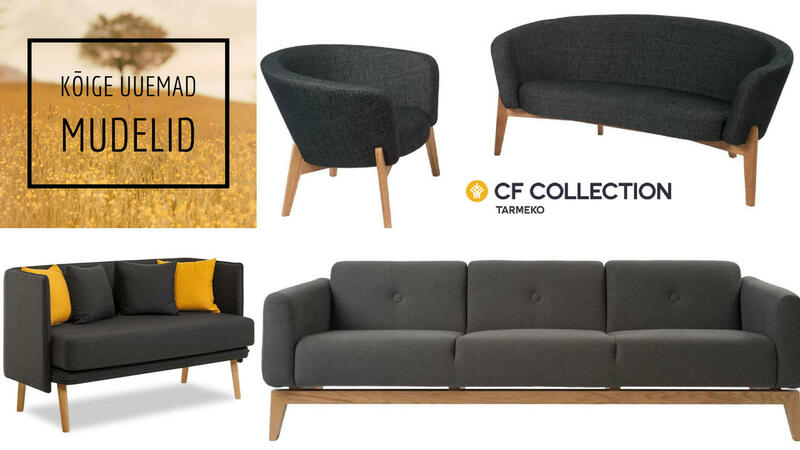 We hope that this brief overview of our latest sofa models was to your liking. If you have any questions/comments, please do not hesitate to write to us at sales@tarmeko.ee. We will reply as soon as we can!